American Tobacco has more than 1.2 million square feet of Class A office space. The 11 acre campus in Downtown Durham has 13 buildings constructed from 1874 to 2014. For information about Commercial & Restaurant Leasing, please call (919) 433-1566. As one of the major catalysts for Downtown Durham's renaissance, the American Tobacco Historic District is a highly acclaimed adaptive reuse, mixed-use development located within one of the country's fastest growing regions. The development is within one of the premier restaurant and entertainment destinations in the Triangle - home to the nationally recognized Durham Performing Arts Center & Durham Bulls minor league baseball. In fact, more than one million people visit American Tobacco each year from around the globe. American Tobacco houses some of the country's most innovative and growing start-ups alongside established industry leaders in finance, tech, consumer products, advertising and architecture. The professional, on-site management of American Tobacco provides first-class service to tenants and also curates and maintains an acclaimed exterior experience consisting of a river running the length of the property, numerous native plantings and on-site beehives as part of the Bee Downtown initiative. American Tobacco has received industry awards for Best Mixed Use Development, Best Renovated Commercial Property, and Best Redevelopment Project. With unique, modern residences, more than a dozen restaurants on-site, a YMCA, first-class events facilities, and a renowned rails-to-trail conversion in the American Tobacco Trail, the development is nationally recognized as a leader in walkability and a true embodiment of the "live, work, play" model. Ample on-site parking and proximity to public transit also enhance access to American Tobacco. 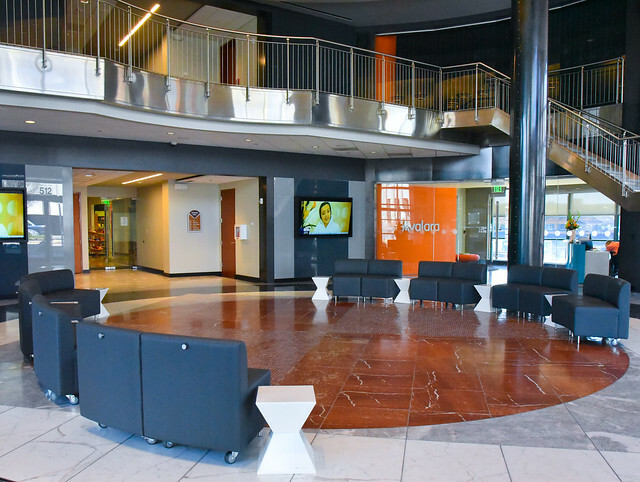 American Tobacco is ready to welcome you as a guest, resident, coworker or innovator! Click HERE for the 2018 Visitors and Relocation Guide. Or call our office at (919) 433-1566.